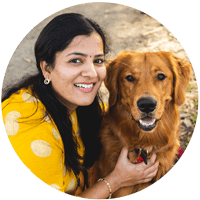 As a part of the Indian Vegetarian Meal Plan Series, I started sharing the variety rice/lunch box recipes from last week both here on my blog and on my YouTube channel. Last week I shared potato-capsicum rice and this week it is the beetroot rice or beets pulav. PS: If you haven’t subscribed to my channel, please do subscribe and stay tuned for the new video every Friday. 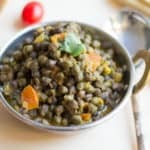 I have already shared about my Vitamin B12 saga and how I love to include vegetables rich in Vitamin B12 on our daily meal in the garbanzo stir-fry post. If you are following me on IG, you can see a lot of platters with beets poriyal, and I even started my menu plan with paruppu kadaiyal and beets poriyal. So my love for beets is no secret. 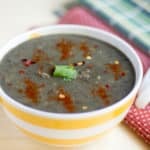 I know the earthy taste of beets is hard to acquire, but hey I have few recipes which will surely make you fall in love with beets. :-) I have already shared beets cutlet, beets kichadi, beets poriyal, beets poori and now it’s time for the beets pulav. Instead of chopping the beets, I grated them for this recipe. IMO, it is easy to peel and grate the beans than to cut. Also, it blends well with the rice, and it is hard for the kids to pick the beetroot pieces and ignore. I always prefer grated beets for the pulao. I did not include any mint or ginger-garlic paste or any spice powders. It is delicious. Are you wondering how? 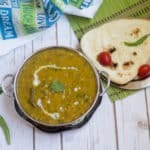 The crushed whole garam masala spices add all the magic to this recipe. The rice is not spicy as well. I went with red chilies as I can easily separate them out while serving and it is quite tricky with chopped green chilies. 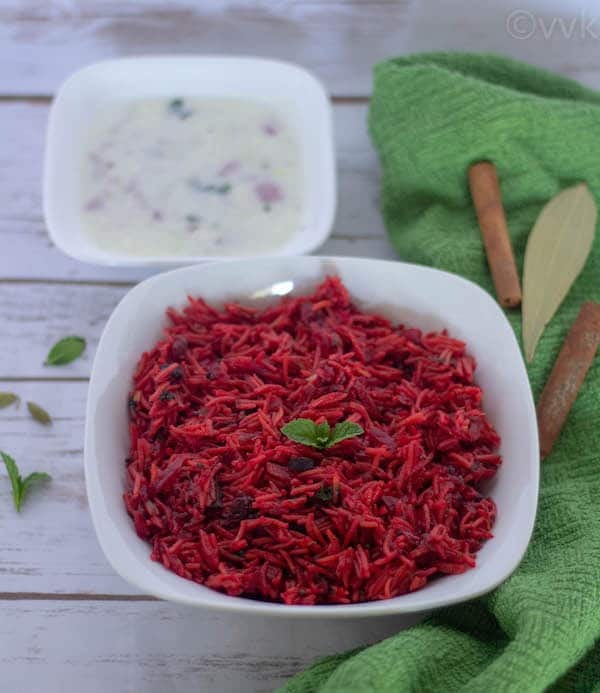 Call this as beetroot rice or beets pulao or beets pilaf or beetroot pulav; this recipe is for sure a perfect lunch box recipe. 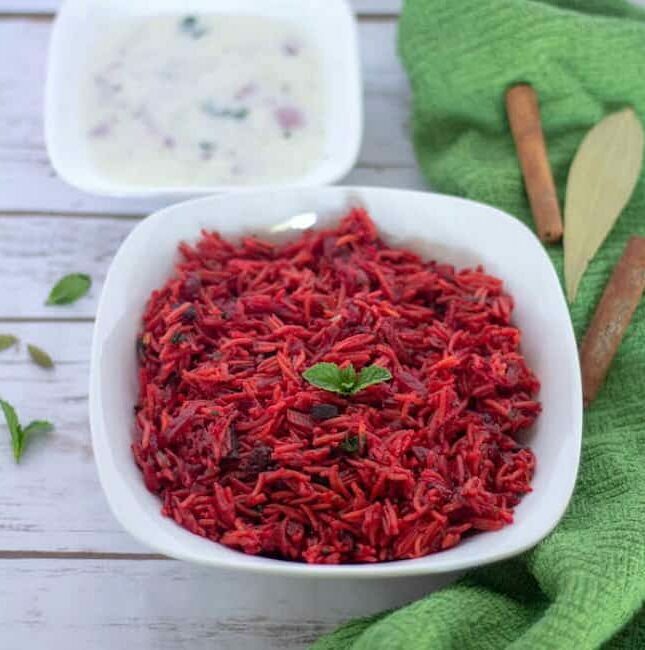 Now without any further ado, let me share the video and the recipe of this Instant Pot Beetroot Rice. Crush the cardamom, cloves, and cinnamon in a hand mortar and pestle or pulse it once in the mixer jar. Break the red chili into two and also chop the onion and cilantro. Set the IP in the sauté mode and when it is hot add the oil. When the mustard seeds start to splutter, then add the red chilies. Fry for a minute and then add the crushed whole spices. Sauté it for a minute and then add the chopped onion and cook until it turns translucent. At this stage add the grated beets and salt. Mix well and allow it cook for two minutes. Add the washed rice, one cup of water and cilantro. Gently mix and pressure cook it for two minutes in manual mode. After two minutes, quickly release the pressure and open the IP and fluff the rice. Add the lemon juice and close the lid and set it in keep warm mode for 10 minutes. That’s it beets pulav is ready. Serve it with raita and salad. Heat the pressure cooker or pan. Add oil and once the oil is hot, add mustard seeds and cumin seeds. Add the washed rice and one cup of water and cilantro. Gently mix and pressure cook it for just one whistle. Let the pressure release and gently fluff the rice. Add the lemon juice and serve it with raita. I did not include any ginger-garlic paste. You can add that and additional spices as per your taste preference. Cooking time in the IP depends upon the quality of rice. If you have soaked the rice, quick pressure release after two minutes and depending upon the doneness of rice, adjust the keep warm mode timing. I have also tried, three minutes of manual pressure cooking and releasing the pressure after five minutes. You can pick whatever works for you. 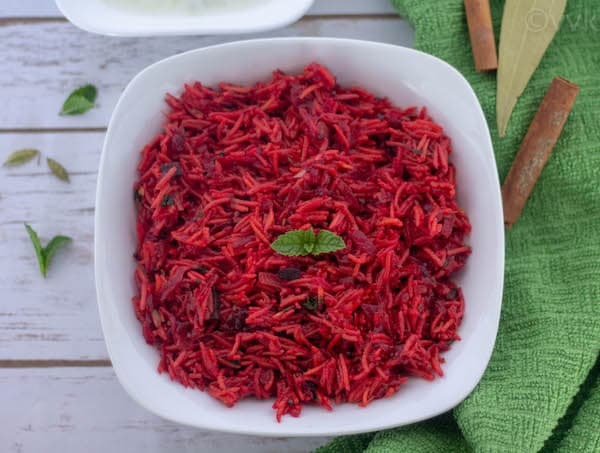 Instant Pot beetroot rice or beets pulav - a not-so-spicy and a kid's friendly rice recipe with beets and whole garam masala prepared in Instant Pot. That's it beets pulav is ready. Serve it with raita and salad. Cooking time in the IP depends upon the quality of rice. If you have soaked the rice, quick pressure release after two minutes and depending upon the doneness of rice, adjust the keep warm mode timing. I have also tried, three minutes of manual pressure cooking and releasing the pressure after five minutes. You can pick whatever works for you. I love it. It’s quite popular in south India but not in North. That will surely be a hit with the kids! Nice one.. Very catchy and healthy rice, love it anytime.. I tried beetroot rice once when my sister prepared it and loved thoroughly :) Your recipe tempts me to prepare again and relish it!! Why not? Prepare again n relish it.. 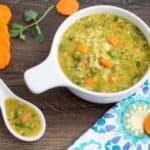 Such an easy, healthy and delicious one-pot meal! Your recipe is bookmarked for weekday lunch packs. My younger one lives this.. Very colorful and yummy.. Very nice and tasty one pot meal! Yeah.. in mrngs or on tired evenings I prefer these one pot meals. 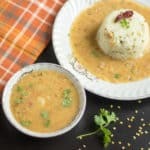 Nice to know your lil one likes this dish..I couldn’t get mine taste this..will have to try again..enjoyed your series..